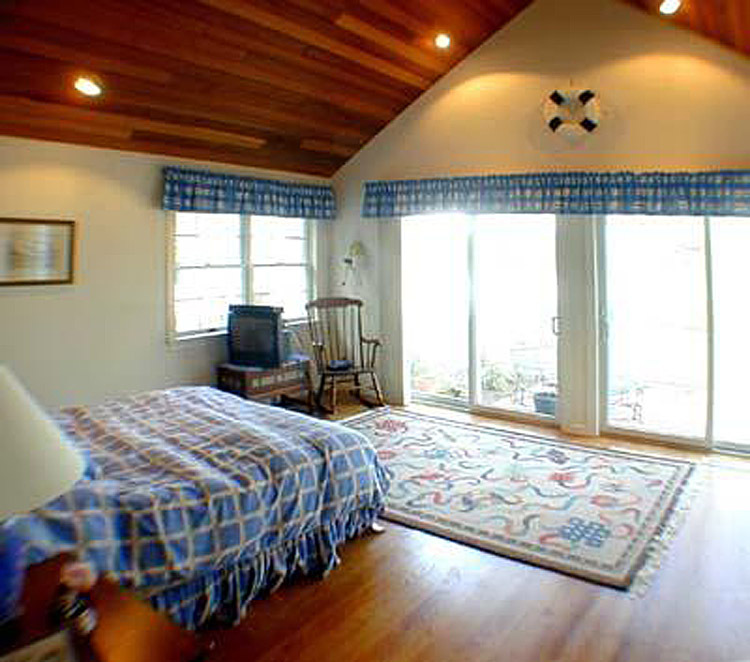 A new Master Bedroom and Bath were desired by the owner. These were added as a wing on the side of the house connected by a link. The bedroom looks over the creek outside. Cathedral ceilings are finished in cedar. Skylights bring additional lighting into the Bath and Dressing area. A storage building was reconstructed to add interest and improve functionality.